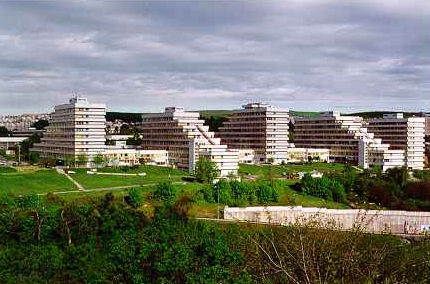 The Faculty of Electrical Engineering and Information Technology of the Slovak University of Technology (FEI STU) is one of the 7 faculties of the STU, the oldest (1940) and largest (20,000 students) university of technology in Slovakia. Its substantial lines are modern, internationally accepted university study, intensive scientific and development research and cooperation with academic and industrial partners in Slovakia and abroad. 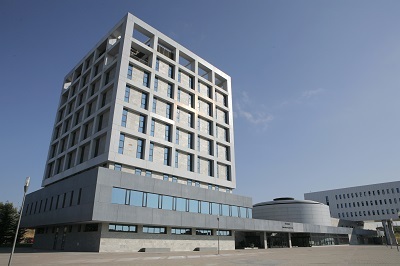 The Institute of Computer Science and Mathematics, as a part of FEI STU, is responsible for the study program Applied Informatics. One of its departments is the Department of IT Security. The cryptology education has begun in 1984 as the first in former Czechoslovakia. In 1986 O. Grošek and K. Nemoga established a new research seminar CRYPTO which is still a main center of cryptology research in Slovakia. Since that time the Crypto-group has formed the core of the Department of IT Security, a National center of excellence participant, focusing on teaching cryptography and IT Security, participating actively in international collaborations, training candidates of high expertise for government and industry. The present staff consists of 4 professors, 4 postdocs, 6 Ph.D. students, and 38 Master degree students. More information is available online. Besides organizing other conferences, the Department is also a founder (since 2000) of the series of Central European Conferences on Cryptology and European Historical Ciphers Colloquium . The main contribution from the project partner from Slovakia will be on the side of hardware implementations, specifically taking into account side-channel and signal-level aspects of security. University of Malta (UoM) is the highest teaching institution in Malta catering for some 11,500 students including over 1000 international students (450 are visiting students) from 92 different countries, following full-time or part-time degree and diploma courses, many of them run on the modular or credit system. 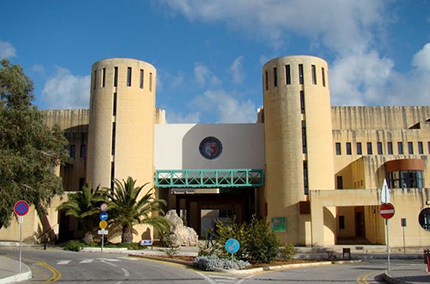 Researchers at the University of Malta conduct research in a variety of areas ranging from adaptive systems to seismic monitoring. The university is also home to a number of leading research programmes, including digital games research, climate change, metamaterials, physical oceanography and maritime law. The Department of Computer Science has a good research track record in a number of areas, with runtime verification being one of the main topics of focus. The first edition of the Internation Runtime Verification Conference has been organised in Malta and two members of the department are on the PC committee. The main contribution from the project partner from Malta will be to contribute the runtime verification aspect to the implementation, making sure that correctness properties are adhered to during normal system use – protecting against malicious attacks. Founded in 1996, U. Rey Juan Carlos is today the second largest public university of the Madrid region, with 5 campuses and serving over 40,000 students. The University has focused his teaching and interdisciplinary research to find solutions to current industrial problems, and ranks among the best universities in Madrid for excellence academic programs and international scientific quality. One of the strengths of U. Rey Juan Carlos is promoting mixed or double degrees geared towards covering the special demands of industry in central Spain. Good examples of such are the double degrees in Computer Science and Mathematics and Mathematics and Software Engineering, from which students have a recognized training in IT security. We are founding members of the Spanish Excellence Network for Cybersecurity Research (RENIC) coordinated by INCIBE (National Institute of Cybersecurity Research) and have in 2017 organized the Jornadas Nacionales de Investigación en Ciberseguridad, a national flagship conference in Cybersecurity Research. Florida Atlantic University (FAU) is a Hispanic-Serving Institution that serves more than 30,000 students. The National Security Agency and the Department of Homeland security designated FAU as a National Center of Academic Excellence in Information Assurance/Cyber Defense Research (CAE-R) for the academic years 2014-2019. In July 2016, FAU and the Air Force Research Laboratory, Information Directorate, Rome, New York, US (AFRL/RI) have entered into an Education Partnership Agreement for a period of 5 years. 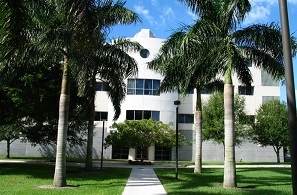 FAU’s Center for Information and Cryptology and Information Security (CCIS) was established in 2003 as an FAU College of Science center with funding provided by a Federal Earmark, and by now extends across four different colleges within the university. Today’s CCIS director is the co-director of the U.S. project partner and chairs FAU’s Department of Mathematical Sciences. This department has an established track record of research in cryptology, including the exploration of post-quantum cryptography. In 2018, the co-director will organize the leading conference in the field, PQCrypto 2018, in FAU’s service area; this meeting will be co-located back-to-back with NIST’s First PQC Standardization Conference. The main contribution from the project partner from the U.S. will be on the side of protocol analysis, specifically the appropriate modelling of attacks involving quantum computers and taking into account platform constraints.